For those who need to play playlists of video clips at specific times. Download and install all 3 components to the right. These files do NOT support "live" streams. You must contact us if you need to test "live" streaming. These are fully functioning versions... however an MvTv License is required to operate the software. To obtain a demo license to test free for 7 days, see the readme.txt files in the zip files. (Trial versions not to be used in production or public displays). Prevents Channel from crashing if it encounters a video file that's not playable... skips to next video. For those who need to play playlists of video clips, but NOT at specific times. Download and install all 3 components to the right. Read: all readme's in the zip files. These are fully functioning versions... however an MvTv License is required to operate the software. To obtain a demo license to test free for 2 weeks, see the readme.txt files in the zip files. NOT supported on 64 bit systems. Please go thru this checklist and insure you have the hardware required, then install the required software components in the order as displayed below to avoid potential errors. 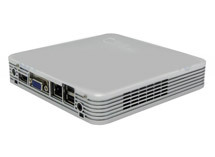 Intel Pentium IV 2.4 GHz+ preferred for MvTv Channels for playback of high definition videos. Intel 2 GHz+ Duo Core or Quad Core CPU's recommended for Scheduler Channels. Video out connection (Component, S-Video or Composite) if the Channel is going to be rebroadcast and not just connected to a monitor. Appropriate audio/video cables to mate the Channel with external hardware such as a modulator, encoder, monitor, transmitter AIS converter (for cable co's). 100 GB+ of free hard drive space recommended, depending on components currently installed on the target PC, plus MvTv software as well as video clips. Some of our clients use MiniPC's mounted right behind their TV monitors. There are many MiniPC's you can use with the MvTv Systems, but their specs will determine whether they'll play the content you need to display... such as high definition video. We can bundle our software with hardware, or if you prefer we can suggest specific hardware. The MicroVideo 1A2ASI Encoder is a user-friendly, Analogue to MPEG-2 ASI Encoder. It supports standard video and audio signals, with BNC connectors for S-VIDEO and composite video, as well as mono/stereo signal etc. The encoder outputs ASI by generating a DVB transport stream from MPEG-2 MP@ML format video in real-time with MPEG-2 format audio. It complies with the MPEG-2 standard, and compatible with most broadcast equipment. It comes in a 1U standard case. It can be programmed locally using the front mounted buttons, or remotely over IP with software bundled free with the encoder. MvTv Components operate on Microsoft Windows XP and Vista Pro & Home and 2000 Pro and Server, and 2003 and 2008 Server versions. Note: Windows Pro versions are strongly recommended for the Scheduler Channel. This is a Microsoft .Net application... you will be required to install Microsoft .Net 3.5 if you don't already have it installed. The MvTv Repeater Channel Configures a PC to play "looping" or "repeating" video clips on a PC or out to a TV or even an entire cable plant such as found in hospitals and hotels. MvTv Channels call the MvTv Server every minute (by default) to check for new video content or text messages programmed by the MvTv Administrator... and downloads them automatically if they exist. The MvTv Repeater Administrator is used to upload videos to the MvTv Server. It also provides an interface for the end user to create and / or modify the MvTv playlists across a network or over the Internet so that the MvTv Channel plays playlist content as required. The MvTv Repeater Administrator is also used to program the optional scrolling text messages on the that can be displayed below the video window on the Channel. The MvTv Repeater Server includes the MvTv Library and Database. The Server stores clips uploaded by the Admin in the Library stores and distributes the video clips and text messages for distribution to the MvTv Channel when updates are requested by them. If the MvTv System is used for broadcasting, the Server and Channel can reside on the same PC, and share the same Library folder. Playlists up to 4 hours long now supported! Ability to Schedule "Live" broadcasts! The MvTv Scheduler Channel Configures a PC to play video clips on a PC or out to a TV or even an entire cable plant such as found in hospitals and hotels on hourly schedules. The playlists can now be 1 to 4 hours in length... meaning a 4 hour long movie or event can be played without interruption! The MvTv Channels call the MvTv Server every minute (by default) to check for new video content or text messages programmed by the MvTv Administrator... and downloads them automatically if they exist. Live events (streamed from Windows Media Servers) are now supported... allowing live events such as live "Breakfast Shows" to be scheduled with stored content. Example, at 9-10am, a live event can be scheduled, 10-12pm a movie, and at noon, live news. Note: Windows XP Pro is strongly recommended for the Scheduler Channel. The MvTv Scheduler Administrator is used to upload videos to the MvTv Server. The MvTv Scheduler Administrator is also used to program the optional scrolling text messages on the that can be displayed below the video window on the Channel. The MvTv Scheduler Server includes the MvTv Library and Database. The Server stores clips uploaded by the Admin in the Library stores and distributes the video clips and text messages for distribution to the MvTv Channel when updates are requested by them. Support issues for all MvTv Components are handled via email unless a support contract is purchased. Email support@microvideo.com and state your issues. We'll get back to you via email ASAP.